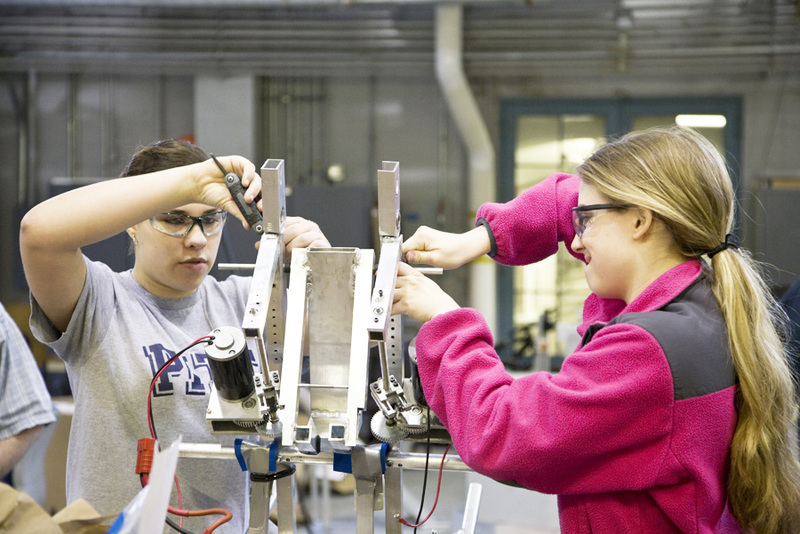 This photo essay documents the Girls of Steel as they built their newest robot for the FIRST Robotics Competition (FRC) division. 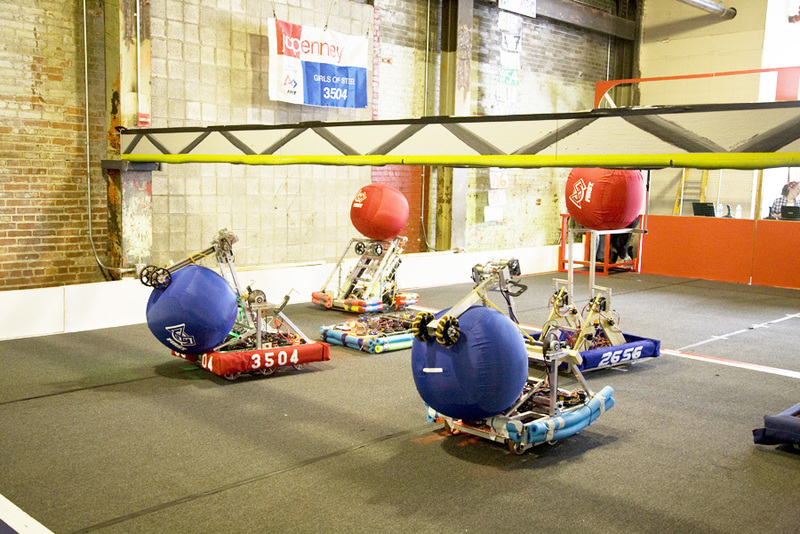 Teams are given the parameters of the game and have just six weeks to build their robot. This year’s game, called Aerial Assist, involves passing a 2-ft diameter exercise ball across a field to different teams to gain points, and there are also various goals through which the ball can go to score more points. 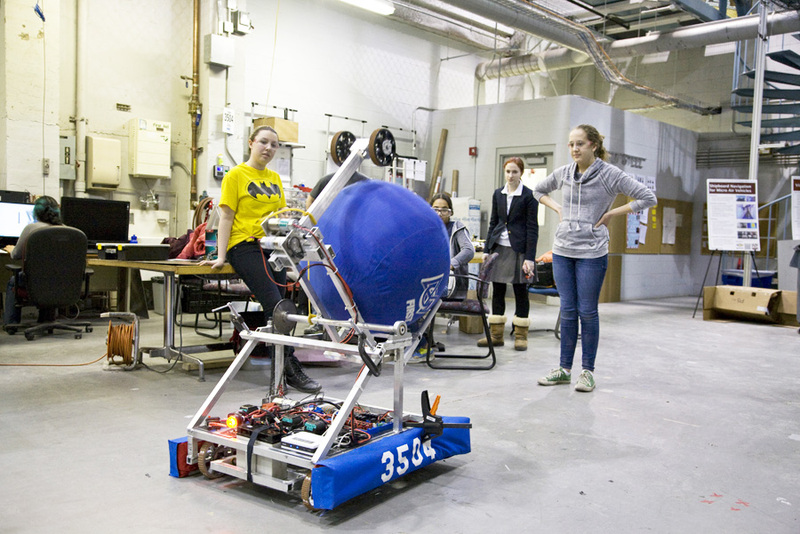 Our six-week Build Season recently came to a close, and we finished our robot close to schedule. Here is the adventure that we had along the way! 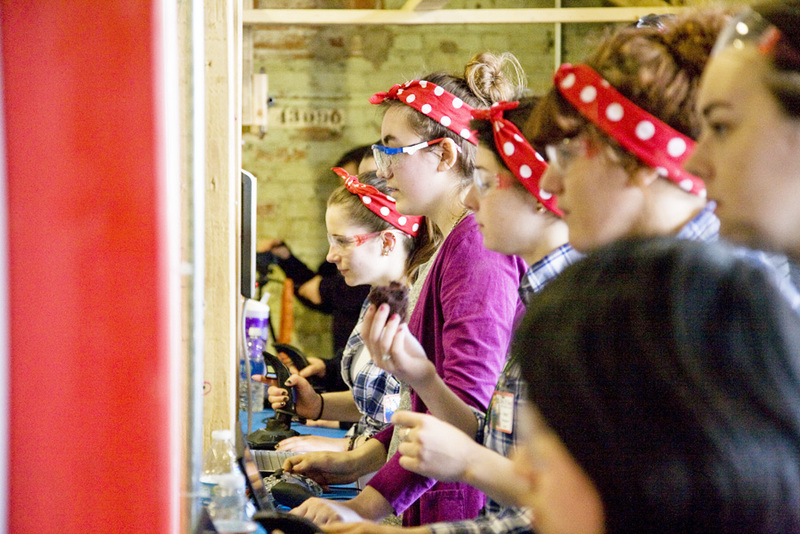 Kickoff, the day when the game is announced to the world, starts the Build Season with a bang! 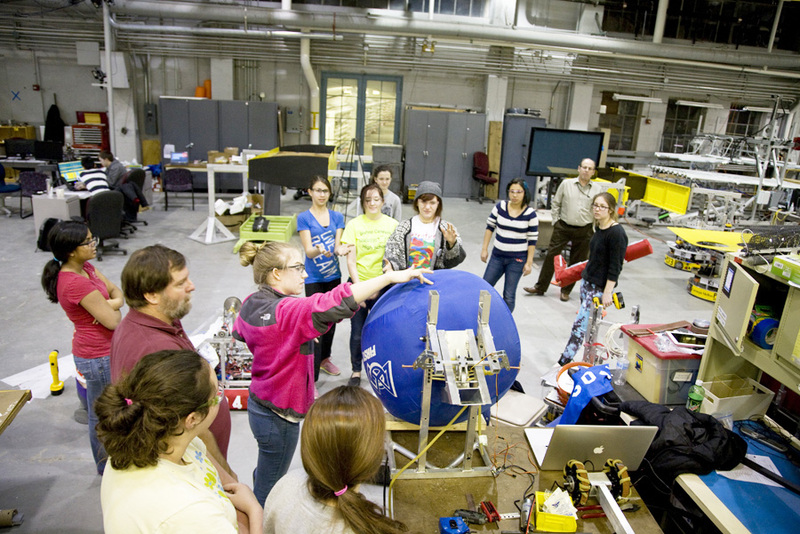 During this week, the team brainstorms about strategy and robot design. 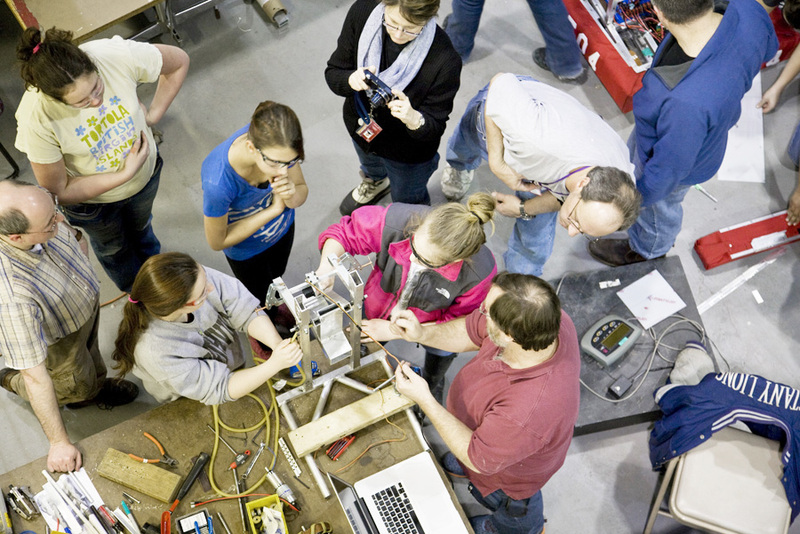 It is a week focused on paper designs, written strengths, and possible full robot designs. 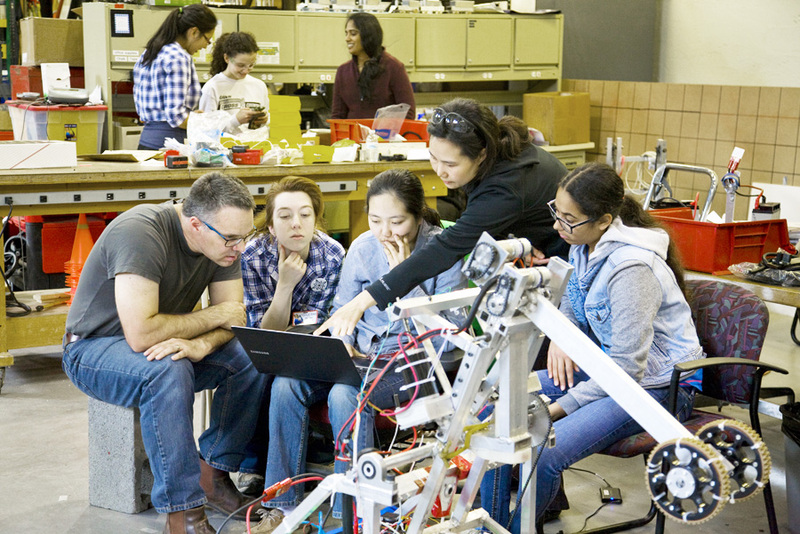 By the end of the week, the team has decided our general design, our chosen chassis design, and identified our robot’s strengths and weaknesses. 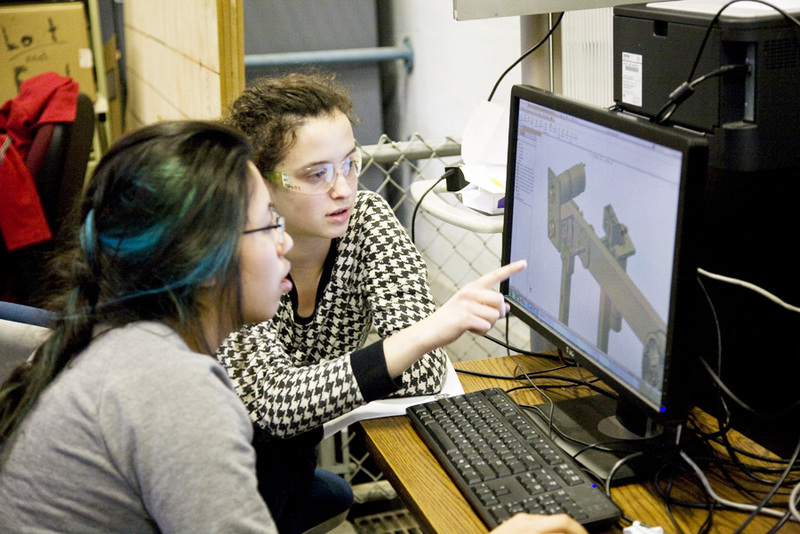 This week is all about the initial design, 3D modeling, and prototyping. 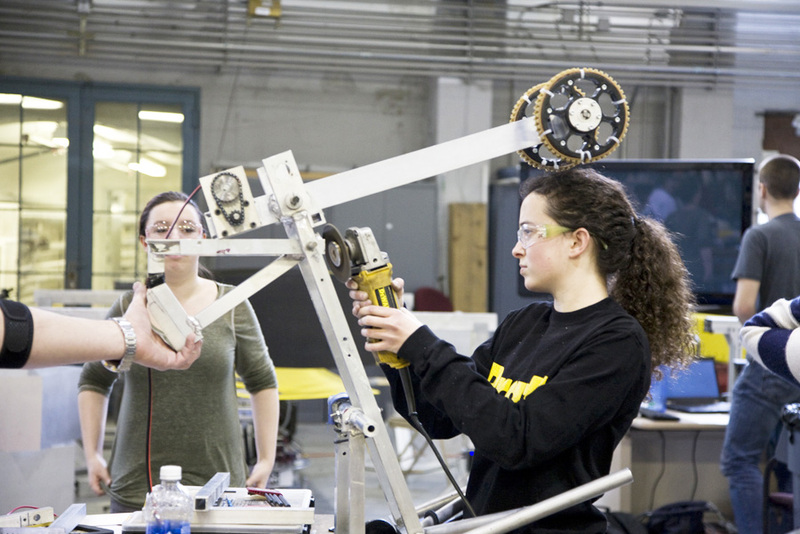 A group of girls begin to design the robot and figure out how it will do the tasks it is supposed to do. 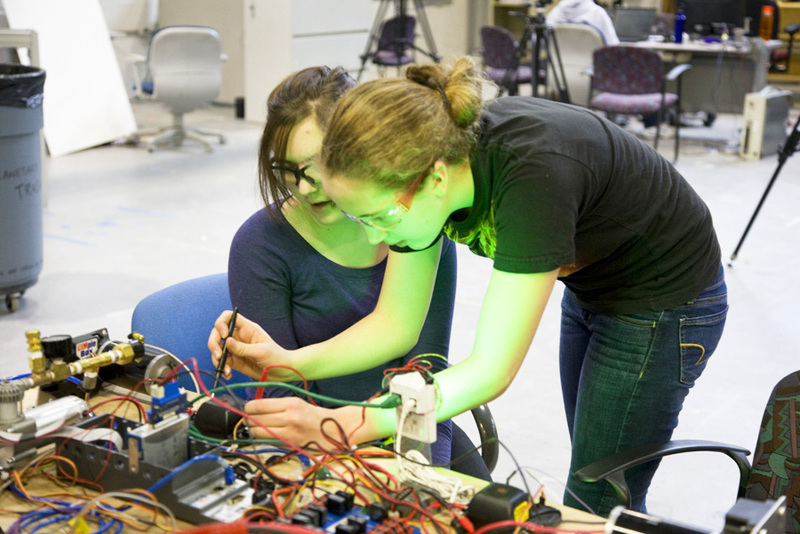 When an idea needs to be tested, other girls on the team help by building prototypes. We also begin to fabricate our chassis. 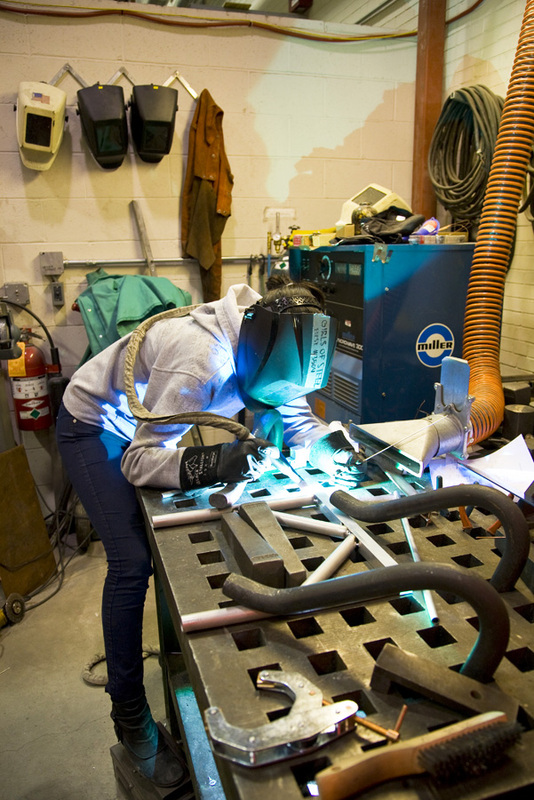 By the end of week two, we have several working prototypes, the frame of the chassis welded, and the pieces to start assembling the rest of the chassis. 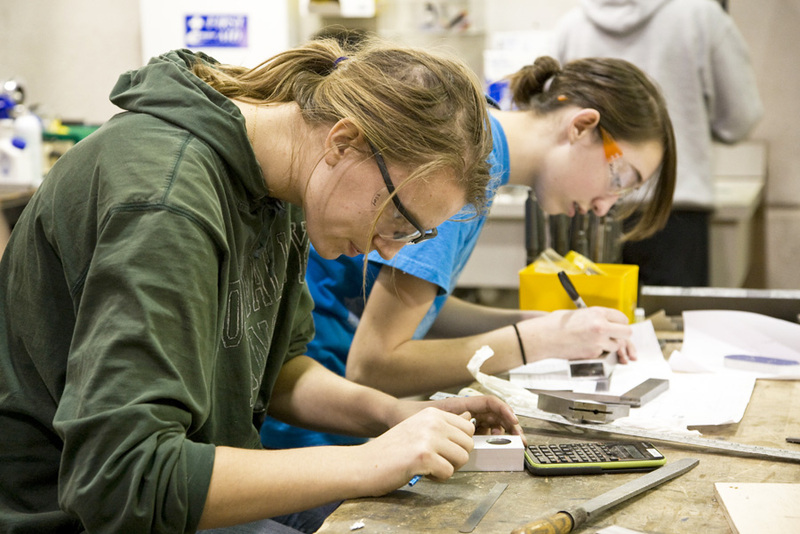 Fabricating and designing are the two main activities that are going on for the mechanical team. 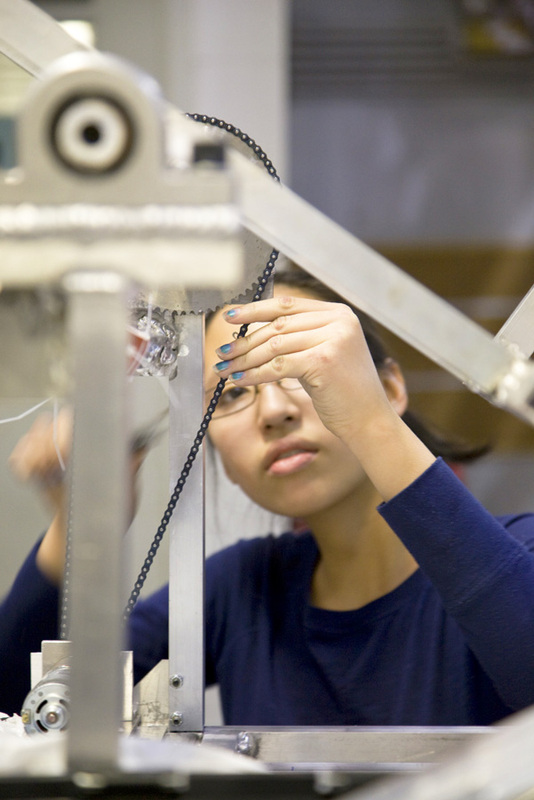 As more designs become finalized, we being to fabricate and assemble everything together. 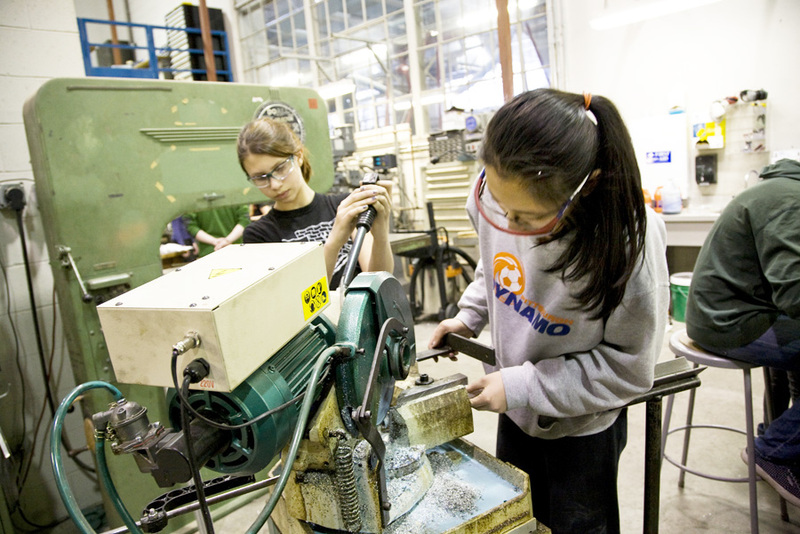 Girls receive diagrams, or ‘(technical) drawings’, of the parts and then machine the parts using tools such as the mill, drill press, band saw, and lathe. 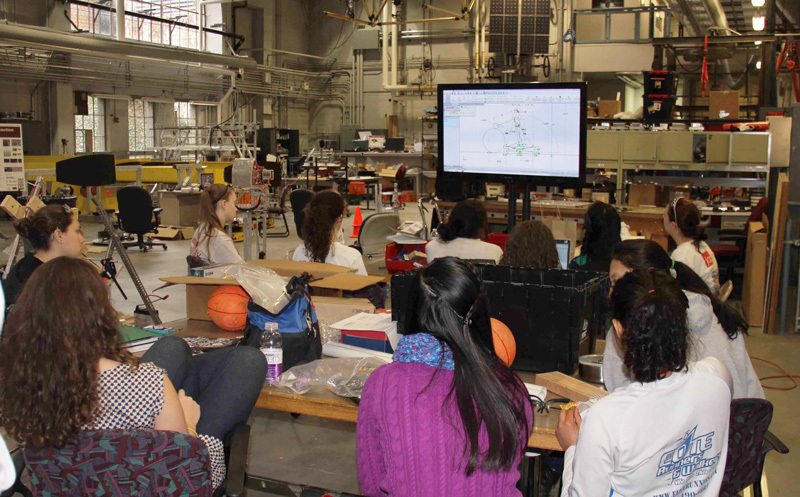 While the robot is being build, girls are programming the basic code for the robot. By the end of week three, we have built a working chassis and have most of the frame ready to be assembled. Past the halfway mark! As the rest of the robot is being assembled other important parts, like bumpers, are being made. 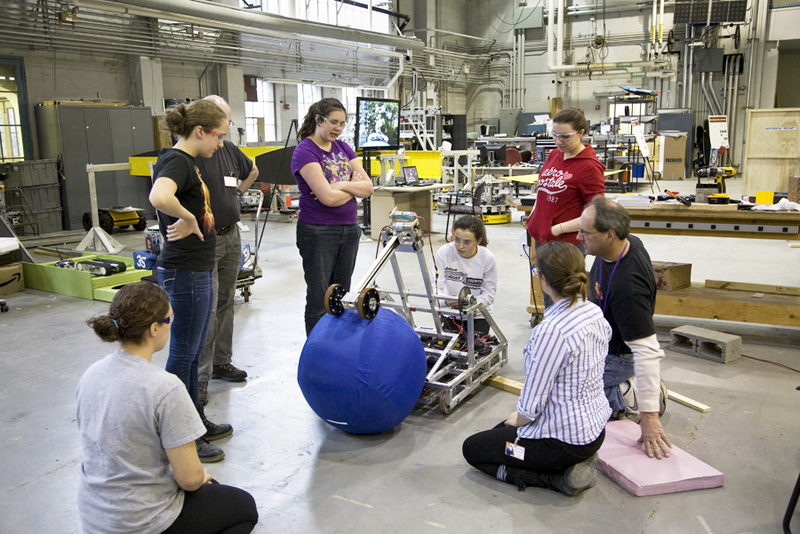 Code is being written and electronics are being placed on the robot. Our 3D model is also almost finished. 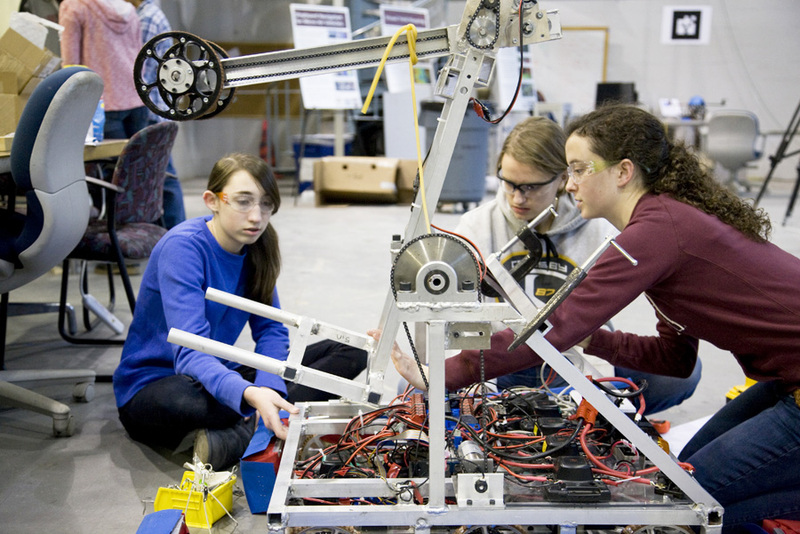 By the end of Week Four, most of our robot is assembled and is in the final stages of having the electronics put on. Most of the programming is complete and waiting to be tested. 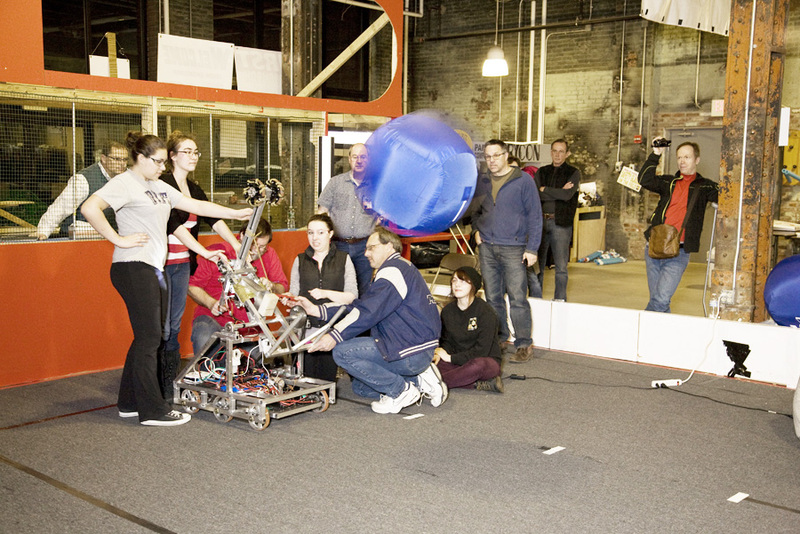 This week we name our robot Atlas, after the greek mythological figure, because when our robot holds the ball, it looks like it’s holding up the world! 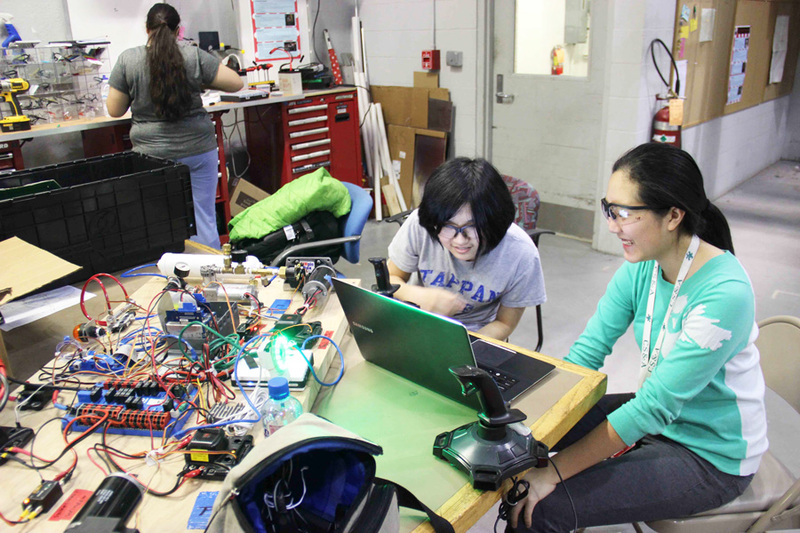 The mechanical team finishes building the robot, and the electronics girls finish their work so that programming can begin to test their code. 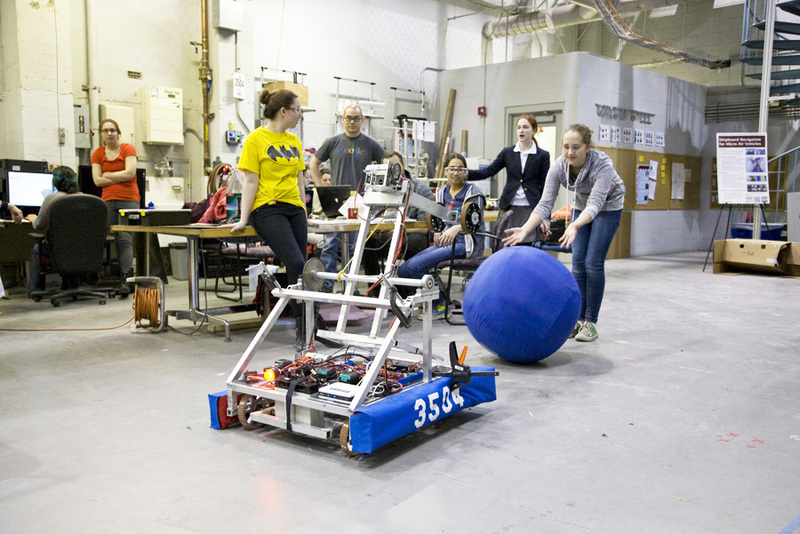 This is also the week where the drive team, a small group of girls that competes with the robot during the competition, begins to practice with the robot as well. 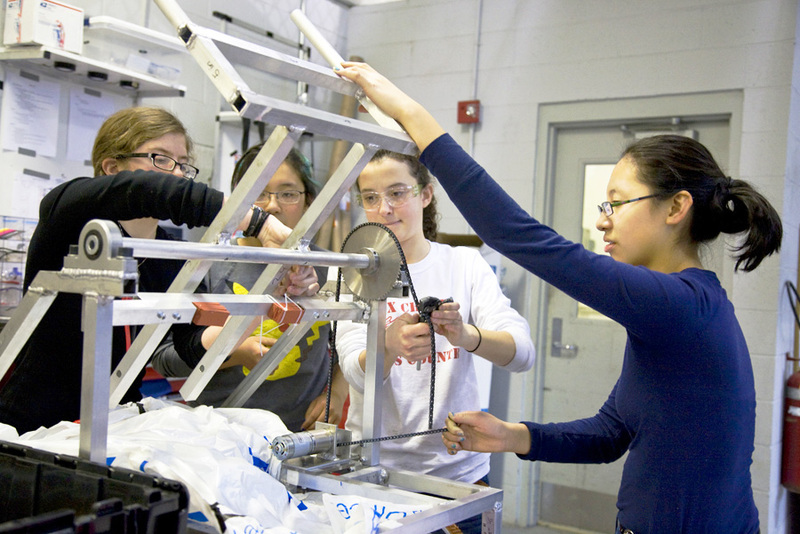 While drive team practices and programmers test code, the mechanical girls are finishing up a second Atlas that will just be used for practice – not in competition. After so much work over the weeks, the final night, called Bag and Tag, is the final day we get to work on the robot until competition. It is an exciting night as our robot is placed in a giant plastic bag, waiting to be revealed at competition. After a busy six weeks, the robot is finished and we are ready to go into competition! 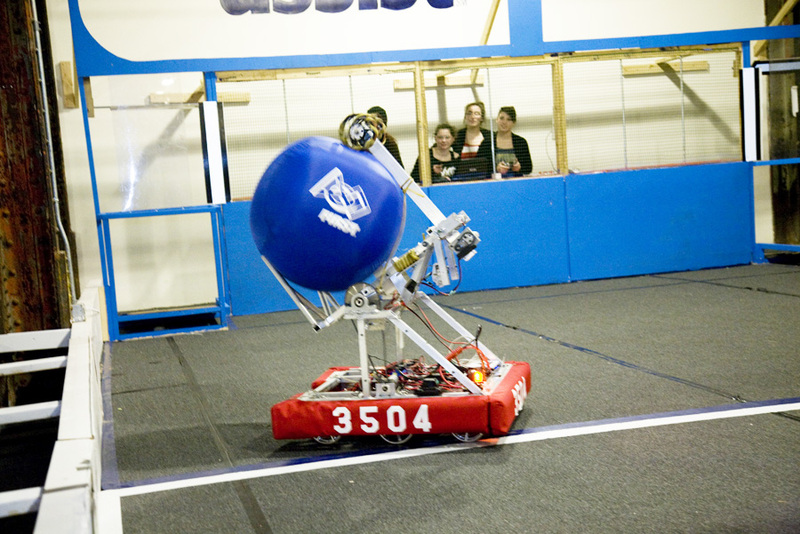 Atlas is an awesome robot, I hope you enjoyed learning about Build Season and FIRST. We just found out we are going to the championships! If you would like to learn more, please visit the official FIRST website and our website as well.